Harry Zephaniah Johnson, the former insurance salesman, reggae producer and studio owner, better known as Harry J passed away on April the 3rd. It took DJ WrongTom posting his remix of Harry J’s most ubiquitous classic “Liquidator” to give me a gentle shove into posting a brief tribute. Tom describes his remix as a “mess of synths, bleeps, and overlaid drum tracks” but keeps Winston Wright’s famous Hammond riff at its heart. To me at least the original is the sound of the Waltzers, stick it on and subconsciously I’m 15 and hurtling round with a disinterested youth whipping my neck back as he flicks the Waltzer into a spin. I’m not sure why I have this association… perhaps Cumbria’s funfair barons were reformed skinheads? Some question whether Harry had his hands directly on the desk for “Liquidator” and the countless other “Harry J Productions” suggesting he was more of an instigator, arranger and entrepreneur. Drummer Carlton Barrett suggests the instrumental was originally meant for Tony Scott’s “What Am I to Do“ while Alton Ellis highlights its similarity to his own “Girl, I’ve got a date“. Whatever the truth, it says “Harry J All Stars” on the label and that’s the name forever associated with one of the most well known reggae tunes of all time. The unmistakable bass of the intro was also pilfered by The Staple Singers, after Booker T & The MG’s drummer Al Jackson visited Kingston in 1969 and was given two copies of “Liquidator” by Harry J. Three years later Johnson was horrified to recognize his opening refrain on the radio as what would become a soul standard “I’ll Take You There” was played. “Liquidator” returned to the charts in 1980, and was also sampled on “Just Keep Rockin‘” by Double Trouble & The Rebel MC (now Congo Natty) during the short lived “SKAcid” craze of the late 80’s. 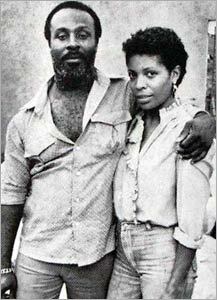 In 1970 he produced Bob and Marcia’s version of Nina Simone’s “Young, Gifted And Black” which reached the UK Top 5. The follow up “Pied Piper” made it to No.11. Flush with the success of “Liquidator” & “Young Gifted & Black” Harry J opened his own 16 track studio on Roosevelt Avenue in Kingston. 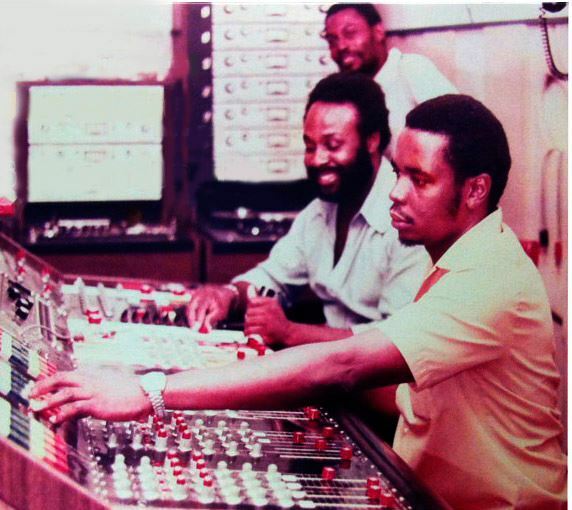 It was the most technologically advanced studio on the island (most others were 2 or 4 track) and a veritable who’s who of reggae passed through its doors over the following years. Bob Marley & The Wailers recorded their “Catch A Fire”, “Burnin'”, “Natty Dread” & “Rastaman Vibration” albums there along with the cream of early 70’s Roots Reggae. Later the likes of Grace Jones, the Rolling Stones and The Who recorded at Harry J’s. It didn’t take long for the studio to strike gold and in ’72 Lorna Bennett’s cover of Dusty Springfield’s “Breakfast in Bed” was a smash in both Jamaica and Worldwide. It seems likely the production was by Geffrey Chang on the request of Harry J who released the resulting gem. The dub on the flip of the 7″ is my favourite, featuring toaster Scotty floating over Lorna’s heavily reverbed voice. Harry J returned to “Breakfast In Bed” in 1979 grazing the lower reaches of the UK chart with a new version by Sheila Hylton. Ever the wheeler-dealer Harry got red-hot production duo Sly & Robbie in to take the helm for Hylton’s follow up, a rendition of “The Bed’s Too Big Without You” and was duly rewarded with a place in the Top 40 and a Top Of The Pops performance. Johnson was also involved in an early recording of the dancehall classic “Murder She Wrote“, using the “Fresh” rhythm. Recorded by Pliers under the moniker of Everton Bunner, it would later become a global hit when re-recorded with Chaka Demus on a different rhythm. Back in 1968 while using Coxsone Dodd’s Studio One, Johnson produced The Beltones “No More Heartaches” arguably the first, but definitely one of the earliest Reggae tracks (as opposed to the previous Rock Steady sound). It went to No.1 in the Jamaican charts but 1969’s “Cuss Cuss” with Lloyd Robinson really announced Harry J’s arrival as a producer and has gone on to spawn countless versions on its rhythm. Again here’s the B sides Dub along with a DJ mix of 8 different versions of “Cuss Cuss” including Horace Andy. In 1977, as befitting a place where so much roots reggae was recorded, a few scenes from the famous movie “Rockers” were shot in Harry J’s Studio. Reggae & Dancehall specialist’s Sound Armada Radio put together a 1 hour tribute show packed with Harry J productions. A list of Roots records recorded at Harry J’s.